Sen. Michael Rodrigues, D-Westport, says he has prepared over his entire career for his appointment as chair of the Senate Ways and Means Committee, and is eager for the challenge that comes with overseeing how every bill in the Legislature, starting with the budget, is funded. “This position is a culmination of my lifelong experiences,” he said. It took him six years to earn a degree in accounting from the University of Massachusetts Dartmouth, Rodrigues said, because he had to start running his family’s floor covering business full-time when his father passed away suddenly. Then he became part of the Westport Finance Committee. “I got hooked on public service and developed an interest in budgets,” he said. Rodrigues — first elected to the House in 1996 and the Senate in 2011 — replaces Spilka, who started last session as the Senate’s budget chief before rising to the chamber’s presidency in July. She corralled the votes to take the gavel from Senator Harriette L. Chandler, who herself was picked to replace former president Stanley C. Rosenberg on an interim basis. FALL RIVER -- Senator Michael J. Rodrigues announced that the city has received a $420,636 grant to combat gang violence, 10 percent more than last year. The Shannon Community Safety Initiative grant award to Fall River increased this year compared to last based on “positive results” achieved by Chief Albert Dupere and Youth Services Coordinator Christian McCloskey, said Bentley Holt, legislative aide to Sen. Michael J. Rodrigues. BOSTON – The Massachusetts State Senate has launched the “Commonwealth Conversations 2019-2020 Tour,” bringing Beacon Hill back to main street for a third session. The Commonwealth Conversations tour, organized by Sen. Michael Rodrigues, D-Westport, is a statewide listening tour in which senators will travel to districts across the Commonwealth. The goal of the tour is to foster civic engagement while allowing senators to learn about issues facing districts outside of their own. The tour will give residents, businesses, and interest groups an opportunity to interact with members of the Senate and directly communicate their needs, concerns and ideas. STATE HOUSE, BOSTON — Human service activists and lawmakers rallied outside the State House Wednesday, calling for the state to help offset a cut in federal funding by allocating $30 million to help low-income families afford winter home heating bills. Most of the 48,000 households in Massachusetts that heat with oil have used up their benefits or will do so by the end of January, according to the Massachusetts Association for Community Action, which said 160,000 households in Massachusetts are served under the Low Income Home Energy Assistance Program. Funding for the federal program was reduced by $11 million this year, and has over several years been cut from $200 million a year to $136 million per year, MASSCAP said. "It's a critical time," said Sen. Michael Rodrigues of Westport. "It's critical we do this as soon as possible because this money isn't going to mean much in May or June." BOSTON – Gov. Charlie Baker, Lt. Gov. 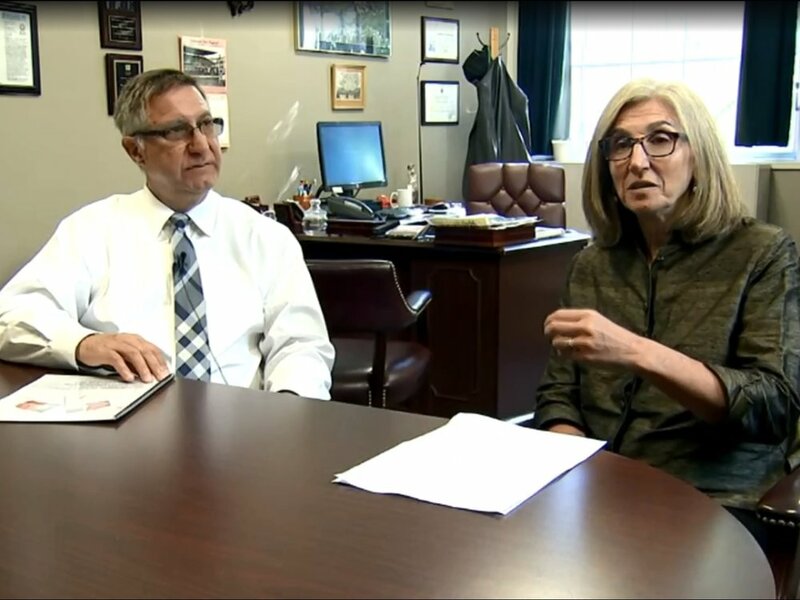 Karyn Polito and Public Safety Secretary Thomas Turco announced that 16 police and fire departments have received $3,555,000 in state grants to assist municipalities in maintaining public safety and emergency response core services. State Sen. Michael J. Rodrigues, D-Westport, is the lead sponsor of the budget amendment that secures this funding. For the eighth year in a row, Rodrigues is happy to announce that the Executive Office of Public Safety and Security has awarded public safety staffing grants to the City of Fall River. For Fiscal Year 2019, the grants will total $966,200; $506,164 for the Fall River Police Department and $460,036 for the Fall River Fire Department. Since 2011, Fall River has received more than $6.3M in funding from this program to help ensure the safety of the public by providing adequate funding for emergency response personnel. BOSTON - With the clock ticking on the end of the two-year session, House and Senate leaders finalized a deal Thursday to tax and regulate short-term housing rentals through websites like Airbnb, reviving a bill that passed in July but was imperiled by concerns raised by Gov. Charlie Baker. …Sen. Michael Rodrigues, the Senate negotiator on the bill, said the new version of the bill is the product of “good work and cooperation between the House, the Senate and the governor’s office. “When the governor signs it, I’ll be very happy. The Senate has been on record wanting to do this for a number of years,” Rodrigues said. BOSTON — By the time they got to the bridge, the Navy guys were on a roll. They knew what they were looking at on the USS Thomas Hudner. And they were impressed. “Do you still use a sextant?” asked Gary Pavao of Somerset, U.S. Navy, 1980 to 1986. Corpsman First Class Dane Pace stood before a bank of computer monitors and a console of dials and switches. There was nothing on the bridge that looked like a steering wheel or a throttle. No compass binnacle. The USS Thomas Hudner, a guided missile destroyer, will be commissioned Saturday in Boston. It leaves Monday for its home port in Florida. BOSTON — Fifteen Massachusetts legislators, led by Sen. Michael Rodrigues, will travel next week to Portugal to strengthen the ties between the two regions and meet with President Marcelo Rebelo de Sousa and other high officials. WESTPORT — Under a leafy trellis overlooking acres of lush grape vines at Westport Rivers Winery, State Auditor Suzanne M. Bump met with [State Senator Michael Rodrigues and State Representative Paul Schmid] and environmentalists to discuss how farmland can be protected today for future generations. WESTPORT — Since the landmark animal abuse case of 2016, local officials and residents have undergone many hours of brainstorming on how the town can prevent animal abuse. FALL RIVER — On Feb. 7, state senators from across Massachusetts will come to SouthCoast to get a firsthand look at the region’s pressing issues, particularly a long-promised and talked-about rail link to Boston. The lawmakers’ visit will be part of a statewide initiative called Commonwealth Conversations, and it follows a similar listening tour across Massachusetts two years ago that produced a comprehensive report on several important issues such as the opioid crisis, criminal justice reform, the environment and education.